Special Containment Procedures: SCP-1477 is currently contained in a high-security vault at Sector-25 with Level 4 access. Following Incident 1477-01 testing with SCP-1477 has been suspended. Experimentation with SCP-1477 should take place in an adequately ventilated test chamber, lined with 10cm thick lead plating. The power cable and any other electrical equipment should be replaced after each use to prevent degradation. Personnel should wear radiological safety equipment at all times during testing; SCP-1477 is to be operated remotely and personnel should not be present in the test chamber while SCP-1477 is in operation. 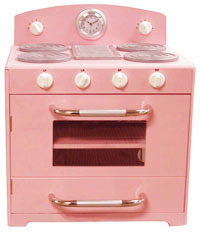 Description: SCP-1477 is a child's electric oven with simplified temperature controls and a non-functional hob. The object bears the logo of defunct toy manufacturer Girard Toys and internal components date from 1980, though no such product appears in the company's records and production by Girard assets had ceased by this date. When activated SCP-1477 emits significant gamma and beta radiation. Matter placed within SCP-1477 while it is activated undergoes spontaneous nuclear transmutation, converting into a lighter element - its atomic number is reduced by an amount equivalent to SCP-1477's current temperature setting per hour. When recovered SCP-1477 was set to '3' - settings 1-5 appear on the instrumentation, though setting '5' appears to possess no anomalous characteristics, instead causing SCP-1477 to act as a conventional oven with a temperature of 180°C. SCP-1477 has been determined to operate by transferring via unknown means proton-neutron pairs from within SCP-1477 to matter surrounding the object, which is transmuted into a heavier element. In experimentation SCP-1477 transmitted subatomic particles between 3m and 10m from their original location; this distance inversely correlates with the object's temperature setting. Given that higher settings result in a greater number of particles transferred but no observed increase in electrical draw, this may suggest the range of transferral positively correlates with energy input. After initial experimentation it was deemed necessary to implement a strong ventilation system in the test chamber, as transmutation of the surrounding atmosphere leads to markedly elevated levels of helium, neon and mildly radioactive fluorine and sodium, together on higher settings with formation of magnesium, which presents a fire risk, especially paired with the highly ionised materials generated by SCP-1477. SCP-1477's own components appear proof against this effect - during experimentation parts from SCP-1477 were swapped with those of a regular oven (designated SCP-1477-1), which was similarly tested to determine at what point it began to demonstrate SCP-1477's anomalous effects. The result was that SCP-1477 continued to operate as previously observed - albeit with the rapid degradation of the foreign components - until all internal components had been moved over to SCP-1477-1. SCP-1477-1 demonstrated no anomalous effects until the transfer of the final component - one of the non-functional hob heating elements - whereupon it demonstrated all effects previously associated with SCP-1477. However, testing of SCP-1477-1 at Setting 4 resulted in the rapid transmutation of the oven's aluminum structural elements into chlorine gas, presenting a further hazard to researchers. All components have at time of writing been returned to SCP-1477's original exterior. SCP-1477 was recovered from a surburban residence in north Hampshire, England after Foundation personnel were notified of a major radiological hazard. 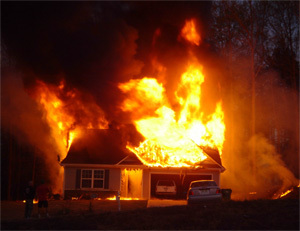 In addition to the radiation produced by the object, large portions of the surrounding house had been converted into radioisotopes of heavy metals, causing an intense fire. SCP-1477 was found, largely undamaged, in what had been a first storey bedroom. "In the sea without lees [ILLEGIBLE] eating his wings variable and maketh himself yet full stable. When all his feathers be from him gone he standeth still here as a stone [ILLEGIBLE] And all so the stone to quicken the dead"
On 03/04/2012 use of SCP-1477 was approved to generate a quantity of elemental gallium for use in the containment of SCP-████. The approved procedure required continuous use of SCP-1477 at its lowest setting to reduce the atomic number of samples of arsenic. The first sample was converted through germanium to gallium correctly and the second sample inserted. During this period it appears that an area of the lead plating in SCP-1477's containment area was converted to bismuth and subsequently polonium; previous testing at higher temperature settings had failed to produce this effect as the radius of SCP-1477's effect was insufficient to reach the walls of the test chamber. At 2 hours 15 minutes into the experiment, a significant mass of the plating was converted into astatine and explosively vaporised, causing 12 casualties including 3 fatalities. Agents B██████ and P█████ subsequently retrieved SCP-1477 from the containment unit and removed it from the facility by force. The object was recovered 7 hours later when the Foundation vehicle used was located on the A3 near Guildford; both agents had been immobilised by radiation poisoning and subsequently expired. Interrogation of Agent B██████ before his death revealed both men to have been in the employ of the Chaos Insurgency, having hoped to obtain SCP-1477 and utilise its properties for financial gain. Whether this is linked to the rumoured decline in effectiveness of the anomalous object known as the 'Staff of Hermes' remains unknown. It is believed that Agent P█████ deliberately orchestrated the experiment which led to Incident 1477-01, and all personnel involved in the formulation and approval of this experiment remain under investigation to determine any further links to the group. SCP-1477 appears to have sustained damage during the incident and its instrumentation no longer reliably corresponds to the change in atomic number effected - this loss of predictability militates against further experimentation with SCP-1477.